It even offers guidelines on how to "take action" against advertising, offering to send protestors keys to break into Adshel and JCDecaux advertising boxes and encouraging people to wear hi-vis vests. Members of the group wear vests with a logo which reads "Ad hel", a play on the name of Adshel. "With just two simple keys advertising boxes at train stations as well as tram and bus stops are easily opened,” it says. 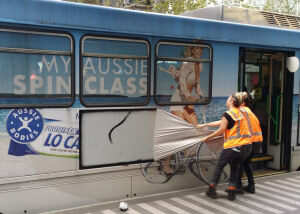 Tram Clean says advertising on both trams and trains is designed to be “easily removed without any tools". JCDecaux and Adshel were unavailable to comment prior to this article on the cost of the ads that have been removed, or to how they feel about this protest. The Outdoor Media Association has said it will not yet comment at this time. Outdoor campaigns can cost up to $100,000 depending on their duration. 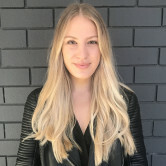 The loss of of advertising dollars due to the efforts of anti-advertising protesters could impact the bottom line of Yarra Trams and Metro Trains. Advertising helps subsidise public transport fares. Tram Clean believes the vehicles on which people ride to work, school and university on should not be used as "canvases for corporate entities" so they can convince us to buy items we don’t need. The group has even started a petition to remove all for-profit advertising from public transport and public spaces. It has nearly 200 signatures so far. JCDecaux, Adshel and Tram Clean have all been approached for comment. 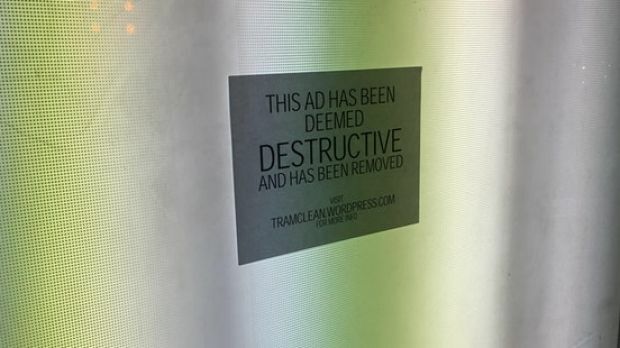 An anti-advertising group is targeting Adshel and JCDecaux, ripping down advertising posters from Melbourne’s trains, trams and tram stops. 'Disguised' in orange hi-vis vests, the group is calling itself "Tram Clean" and has removed dozens of posters from trams and tram stops around the city. “We are here to wash away the filth and grime of for-profit advertising from your trams - to clean the disruptive, offensive and ugly corporate graffiti from public transport so you and your children no longer have to look at it,” its website says. Its website shows images of the group tearing off an ad from Aussie Bodies from the side of a tram and Colgate ads from a tram stop.